How do I pray? Dr. Martin Mittelstadt examines this question, as well as how prayer can be understood, especially during times of hardship and suffering. 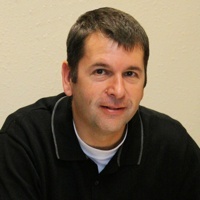 Dr. Mittelstadt is a Professor of Biblical Studies at Evangel University in Springfield, Missouri. He brings 10 years of pastoral experience from his home province of Manitoba. His publications on Luke-Acts include Reading Luke-Acts in the Pentecostal Tradition and Spirit and Suffering in Luke-Acts: Implications for a Pentecostal Pneumatology.